Complete that look for your home with Paintable Sockets and Switches, the perfect finishing touch to your modern contemporary building. Whether you have a Studio, Nursery or an ultra modern Penthouse Flat we can offer the perfect solution in matching the colour to reflect the interior design features you are looking for to enhance your property. Our ... Read more on Paintable Sockets and Switches. To see all the available socket and switch models from the Paintable Range, click on the range name or image. Seamless Paintable is available in these finishes. Click to see full range & prices. Elite Paintable is available in these finishes. Click to see full range & prices. Executive Paintable is available in these finishes. Click to see full range & prices. Screwless Paintable is available in these finishes. Click to see full range & prices. Ultra Square Paintable is available in these finishes. Click to see full range & prices. 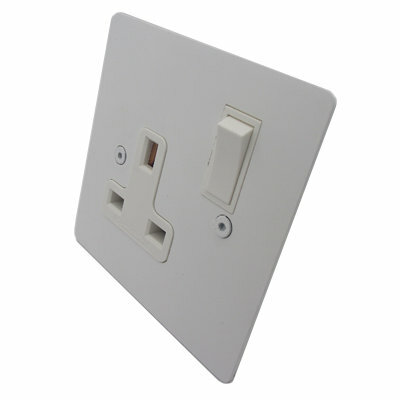 Our ranges encompass all the modern Sockets and Switch features you would expect today. All of our ranges complement today’s modern lifestyles whilst retaining the element of timeless design. 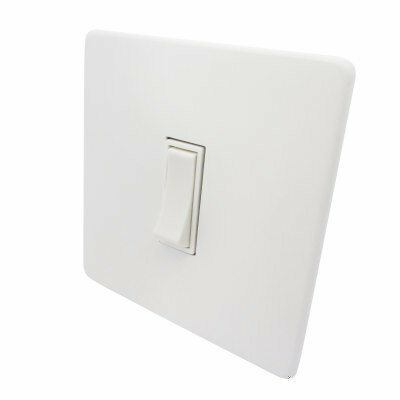 Not only do we offer Plug Sockets and Light Switches but everything from LED Dimmers to Media Plates and satellite sockets to allow you flexibility when planning and designing your room layout. The Bathroom and Kitchen areas are not neglected with coordinating Shaver Sockets, Cooker Switches and Fused Spurs in every range and style we offer. For those who prefer the more industrial look of the Toggle or Dolly switch, we have those too, not only in the single switch versions but up to 4 switches on one plate. 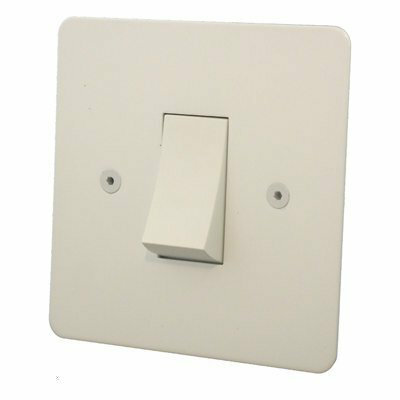 Our Light Switches and Sockets come with a choice of metal rockers or in Black or White Plastic rockers to suit your particular interior design. No detail is too small to complete the look of your room. You can choose from any of the high quality flat plate accessories ranges and we will spray paint them for you with a flat white primer allowing you to finish painting the product at home. 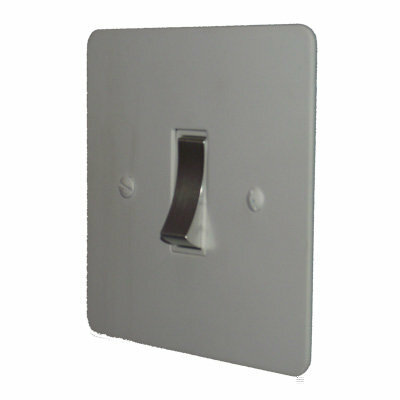 See our Paintable Sockets and Switches installation guide; that shows you just how easy it is to paint your sockets and switches the same colour as your walls. If you would prefer us to do this for you see our Colour Match range of products where you can choose from any of the 210 colours in the RAL, BS381C or BS4800 ranges. We also offer an expert colour matching service. Simply send us a sample of your required colour (paint swatch, kitchen splash back sample etc) and we will find the required match. These fittings have been used in many areas including kitchen splash backs, interior design schemes, retail outlets, showrooms, nurseries and much more. 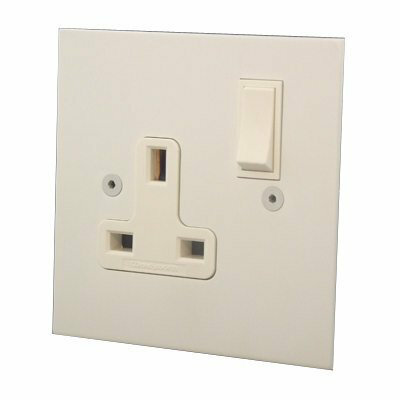 Most of our Sockets and Switches are made in Britain with our Premium ranges made to order in our UK factories to exacting British Standards to produce Electrical accessories of an unparalleled quality. All of our ranges comply with the latest electrical safety standards.